Can I use the record pool on my mobile device? Yes, The website is designed to work on all devices. Computers, tablets & mobile phones. When you download music on the record pool with a mobile phone or tablet. It will send a .zip file to your email so you can download the music on your computer or any other device. When you download through a laptop or desktop it will automatically save the .zip file to your computer. To extract the .zip files we recommend these software solutions based on your operating system. Do the songs contain The BPM & KEY information? Yes. All songs have updated ID3 tags that contain the accurate BPM & KEY information. You can also search by BPM or BPM range. Do we offer older songs? What genres of music are offered? We don't currently offer a preview or trial of the record pool. You can, however, check out this walkthrough video to see how the pool works. What record labels do you service? 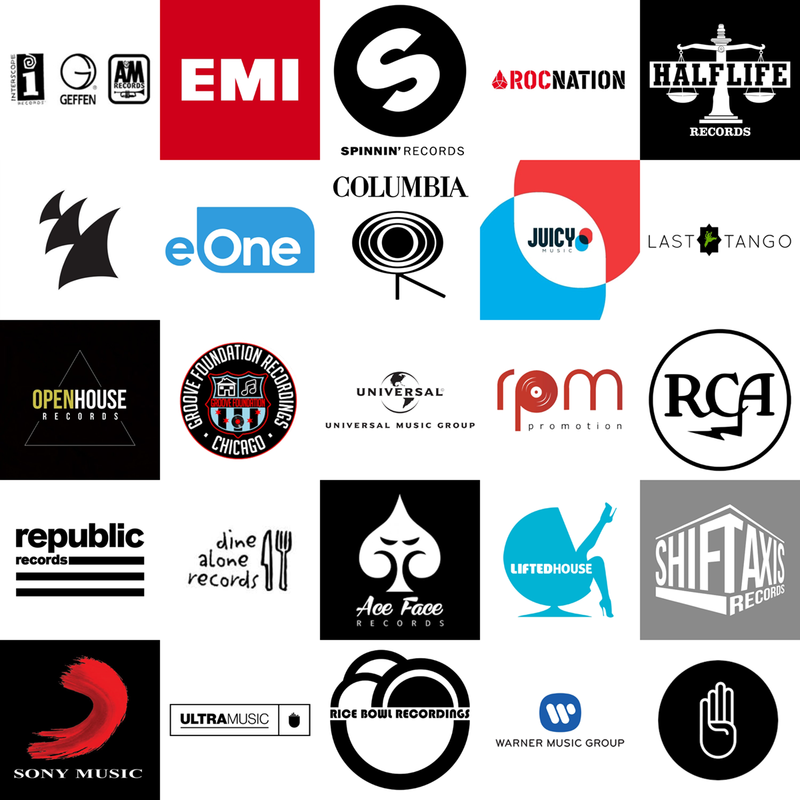 These are some of the record labels we service.